CINCINNATI - To get ready for Next Nine , we must re-introduce the first nine. WCPO is launching a monthly program to recognize the next generation of young leaders who could make this city the best it can be. The debut Next Nine event is Sept. 27 at the Backstage Event Center Downtown from 6-8 p.m. The first to be recognized are young leaders featured in April as part of a WCPO report about talent attraction. Chasing Opportunity in Cincinnati analyzed how well this region is recruiting and retaining talented young professionals. Not one of these folks is older than 33, but they’ve already made important contributions to Cincinnati business, civic and cultural vitality. Rolando Archila grew up in Guatemala and was educated by Austrian Jesuits. He said he was looking for a “cultural shock” when it came time for college. That’s what led him to the Midwest. After graduating from the Kelley School of Business at Indiana University, Archila spent seven years at Seed Strategy, a consulting firm that helps Fortune 500 companies develop new product ideas. That was followed by a seven-month journey around the world and Archila’s return to Cincinnati, where he’s working on a new startup involving social entrepreneurship. Tessa Xuan is the daughter of a Procter & Gamble Co. scientist who thought she’d never return to Cincinnati when she left for college at Ohio State University. But P&G pulled her back to town with a job offer that led to nearly four years of work in products research. Xuan’s volunteer work for the Asian Food Fest and Women Walking West, a mentoring group for foreign-born women, caught the attention of the Chinese Chamber. She started as the group’s executive director in January 2016. In her LinkedIn bio, Xuan describes herself as a “diversity advocate, community builder and relentless collaborator.” One of her goals is to make Cincinnati a more welcoming place. William Thomas II grew up in Wyoming and attended Wittenberg University before moving to Florida to work as a field organizer for the Obama campaign in 2008. He returned in 2011 to work for the local nonprofit KnowledgeWorks and spent more than two years developing the Cincinnati Preschool Promise initiative, which Cincinnati voters approved in 2016. In 2014, he co-founded Mortar Cincinnati, an Over-the-Rhine nonprofit that helps low-income entrepreneurs start or expand their business. A Cincinnati booster, Thomas had Cincinnati’s 513 area code tattooed on his left ring finger. Nia Baucke is the daughter of former NFL linebacker Jimmy Williams and gradated from Xavier University in 2012. Baucke was part of the team of young professionals who secured a 2016 election win for Cincinnati Preschool Promise, and then she joined Aftab Pureval in shaking things up at the Hamilton County Clerk of Courts. After relocating to five different cities while growing up, Baucke has now lived in Cincinnati longer than any of her previous home towns. She likes “being part of the change” here and thinks she and her husband, GE Capital Lead Analyst Spencer Baucke, are likely to stay. Megan Belden relocated from the Indianapolis area to attend Xavier University, where she received an MBA in 2016 and bachelor’s degree in marketing and management in 2011. 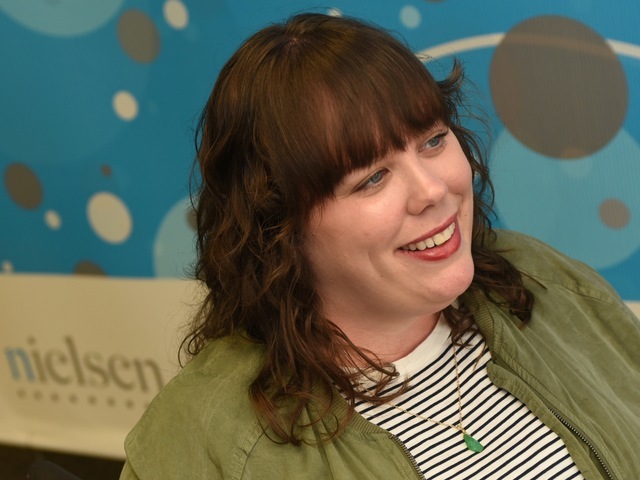 Her seven-year career at Nielsen has included a one-year assignment in Nielsen’s development program for emerging leaders and the last four in its neuro-marketing unit, which studies how the brain responds to advertising. Born with the genetic disorder, spinal muscular atrophy, Belden has worked as an advocate for disability inclusion in the workplace. Brett Santoferraro, an Akron native, was co-MVP of his Archbishop Hoban High School wrestling team. He graduated from Ohio State University in 2014 with a bachelor’s degree in industrial systems and engineering. He began as an analyst at Walnut Hills-based Amend, but moved up through its project leadership ranks with promotions in 2015 and 2017. In 2016, Santoferraro graduated from the Cincinnati USA Regional Chamber’s HYPE leadership development initiative. Despite all of those achievements, he remains a Cleveland Browns fan. DePauw University graduate Ross Patten relocated to Cincinnati in 2012 to work as a project manager in the city of Cincinnati’s economic development division. He worked on more than a dozen projects, including the redevelopment of the former Vernon Manor hotel into an office building for Cincinnati Children’s Hospital Medical Center. Patten left Cincinnati in 2016 for the city of Covington, where he oversees the city’s small-business incentive program. He’s an FC Cincinnati fan and a Westwood landlord, having acquired a duplex there in 2016. Born in Karachi, Pakistan, Paaras Parker is a Miami University graduate who started her professional career as a Victoria’s Secret manager in 2002. She credits Global Lead management consultant Janet Reid as a key mentor. She counts the Karen Wellington Foundation and Greater Cincinnati Foundation Women’s Fund among her most important civic contributions. Parker lives in Montgomery with her husband, Sean, and two children, ages 5 and 2. “We have great neighbors, our school system is wonderful and I think just being in Cincinnati you still get that family feel,” she said.